In the ninth and tenth centuries, a major rift developed between the Eastern Catholic churches governed by the Patriarch of Constantinople and the western European Catholic churches governed by the Pope in Rome. The dispute apparently focused much more upon who would be the leader, rather than theological issues. Political and language issues were also important since the Roman Church wished to firmly establish Latin as the liturgical tongue, a move the Eastern Church thought was tied to Roman political dominance. Over the centuries, the two wings of the Catholic Church separated and, in 1054, the bishops of Rome and Constantinople each excommunicated the other. The division remains today. There were major efforts to reunite these two dissenting branches of Catholicity in the 1274 Council of Lyons and the 1438-39 Council of Florence. Although leaders of the two churches spoke to each other, reconciliation has not yet been achieved. Within the Eastern Orthodox Church, there were several different groups, each with their own liturgies and leaders, although they shared theological beliefs and recognized the leadership of the Patriarch of Constantinople. One of these eastern churches was the Assyrian Catholic church with a membership centered in what is now Iraq. In 1552, the bishops of the Assyrian Catholic church grew upset with the Patriarch of Constantinople and decided to affiliate once again with the Roman Catholic Church. The Patriarch of Constantinople thwarted their efforts for some time, but on July 5, 1830, the Roman pope appointed a Patriarch of Babylon for the Chaldean Church to be headquartered in Mosul, Iraq. This effectively joined the Assyrian Catholic Church with the Roman Catholic Church, although they maintain their own liturgy and use Syriac as their liturgical language, a language that is similar to the Aramaic that Christ spoke. By the early Twenty-first Century, there were ten Chaldean dioceses in Iraq, four in Iran and four others in the Middle East. There are two in the United States with bishops governing from Southfield, Michigan and San Diego. 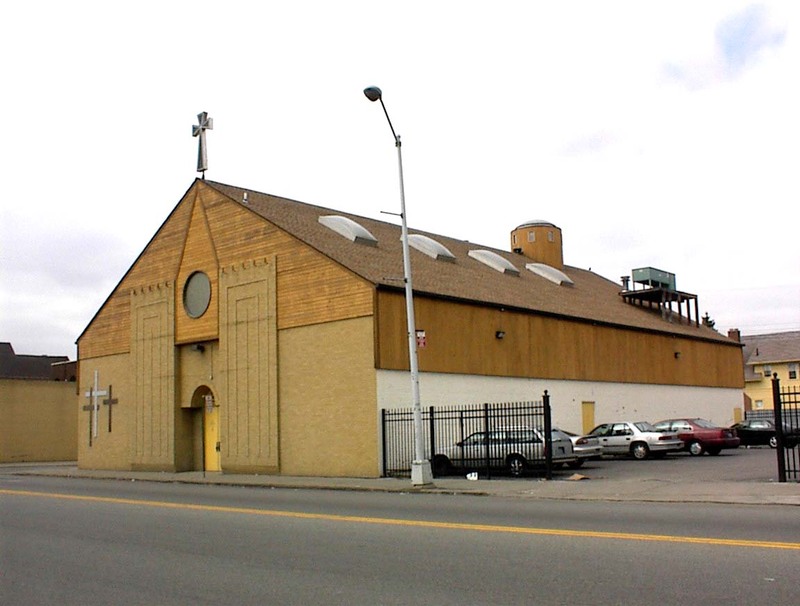 Sacred Heart parish was founded in Detroit to serve the many Chaldean Catholics who migrated to the Motor City from Iraq and settled in this rather impoverished neighborhood where homes could be purchased or rented for modest amounts. Many of these immigrants work, for some years, save money and then move to neighborhoods in Oakland County closer to the Our Lady of Chaldeans Cathedral, Mother of God parish. As you can see, Sacred Heart is a modest and functional church reflecting, perhaps, the very limited incomes of its parishioners upon arrival in Detroit. You will also find no external signs identifying this church or its major benefactor. In the late 1970s, the United States government strongly supported Saddam Hussein and Iraq in their war against Iran. The State Department sought to impress Saddam Hussein. State Department administrators looked for ways to symbolize this nation’s close ties to Saddam Hussein and the war he fought with our then enemy—Iran. The Detroit area had the largest Chaldean population in the United States and, at that time, the Chaldeans in Iraq were in favor with Saddam Hussein. State department staff encouraged Mayor Coleman Young to give Saddam Hussein keys to the city of Detroit. Detroit officials asked the pastor of Sacred Heart, Father Jacob Yasso, to visit Iraq and present the keys to Saddam Hussein, making him an honorary citizen of the Motor City. Saddam Hussein graciously accepted these honors from Father Yasso, observed that there was a mortgage on Sacred Heart Church and asked the amount. Father Yasso cited the $170,000 debt and Saddam Hussein immediately said he would pay it. I have read that the Iraqi leader presented Father Yasso with a check for $200,000, allowing Sacred Heart parish to pay off much of their mortgage and build a recreation hall. 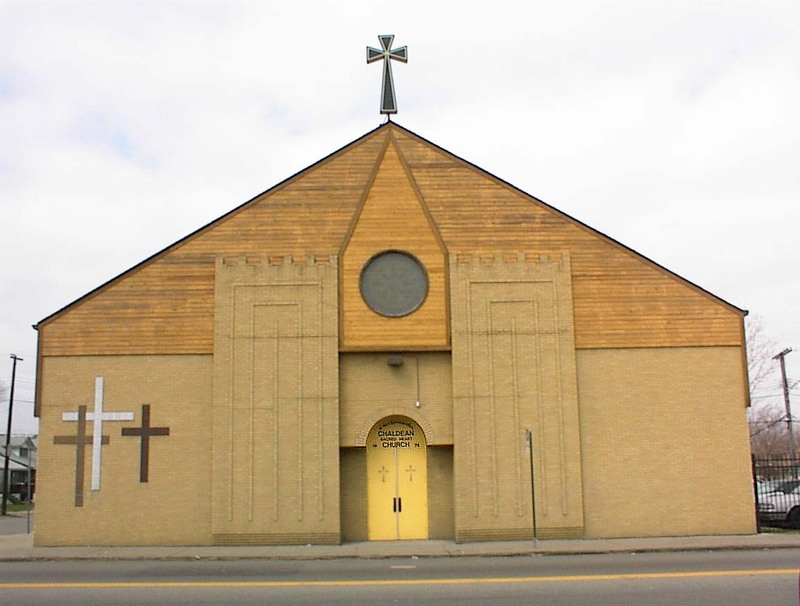 So far as I know, this church is the only one in the city of Detroit that was paid for by a head of state. Eight Eastern Rites affiliated with the Roman Church operate a total of 23 parishes in the Detroit metropolitan Areas: the Armenian Rite; the Byzantine Rite, the Melkite-Greek Rite, the Ukrainian Rite, the Maronite Rite, the Chaldean Rite, the Romanian Rite and the Syro-Malabar Rite. There are five Chaldean Rite parishes operating in metropolitan Detroit, Sacred Heart in the city and four in the suburban ring. Date of Construction: Presumably the early 1970s.